I’ve wanted to sing with Mr Little Jeans for a while now, but I never imagined it’d actually happen when I went to see her in concert at Rough Trade in Brooklyn, New York. 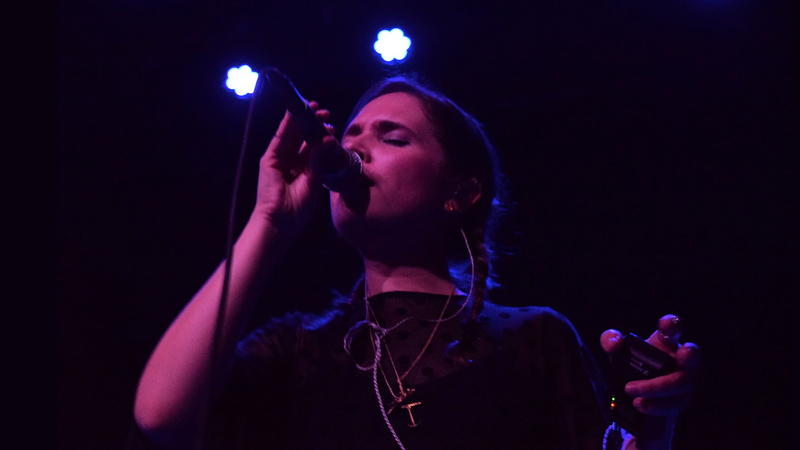 The Norwegian electropop singer-songwriter gave the audience plenty of chances to be a part of the sold out show, even letting the people in the front row use her mic. For those of us who’ve been fans for a long time, it was exhilarating. For those who didn’t know much about her, it’s safe to say they’ll have her new EP, Fevers, on repeat after attending this show. Monica Birkenes, AKA Mr Little Jeans, is performing in 23 cities across North America on her Fevers tour, and her infectious charm, unforgettable voice, and eclectic dance moves make these shows a can’t miss. MLJ kicked off the show with her newest single, “Stitches,” followed by nine more exciting, high-energy songs. The show included a bunch of tracks from 2014’s Pocketknife to the excitement of the fans who have been following her for years. Her hushed vocals are both dreamy and powerful, and she had the whole crowd singing along all night long, which isn’t actually surprising considering how brilliant her lyrics are. A few songs into her set, MLJ gushed to the crowd about how, according to her Spotify stats, she has more fans in New York than anywhere else, starting a night full of fun, conversational banter. Rough Trade was packed, and the atmosphere in the room was electric as she danced around the stage, mic in hand. She was witty and endearing, answering fans as they called out to her. As she finished her encore (“Fevers” and “Good Mistake”), one fan voiced what we were all thinking, telling her not to leave. She grinned at the crowd and told us that she wanted to stay before dancing off the stage. It was an unbelievable night, and we all had so much fun. Make sure to track Mr Little Jeans on Bandsintown so you don’t miss her when she’s in a city near you.